In the “Sympathy for the De Vil” episode of the ABC series Once Upon A Time, we meet a young Cruella De Vil (Victoria Smurfit) in fictional 1920s England, where her oppressive mother uses her Dalmatians to terrorize her daughter and keeps her confined to the attic until a mysterious stranger arrives and empowers her to challenge her captor. While seeing where she came from and what lead her down the path to who she is today, we will also learn that she has kidnapped Henry (Jared S. Gilmore), angering both Regina (Lana Parrilla) and Emma (Jennifer Morrison). 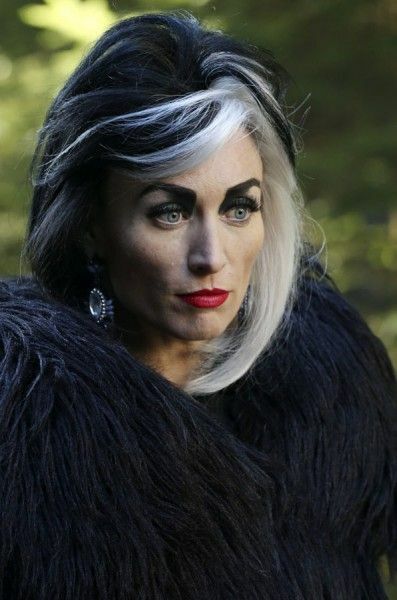 During this exclusive phone interview with Collider, actress Victoria Smurfit talked about why she was terrified to take on the iconic villain Cruella De Vil, getting to invent and explore her backstory, Cruella’s history with the Author (Patrick Fischler), learning what her personal agenda is, that she would never cross Rumplestiltskin (Robert Carlyle), and just how fabulous it is to put on the full Cruella look. 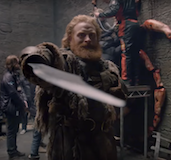 Be aware that there are some spoilers. 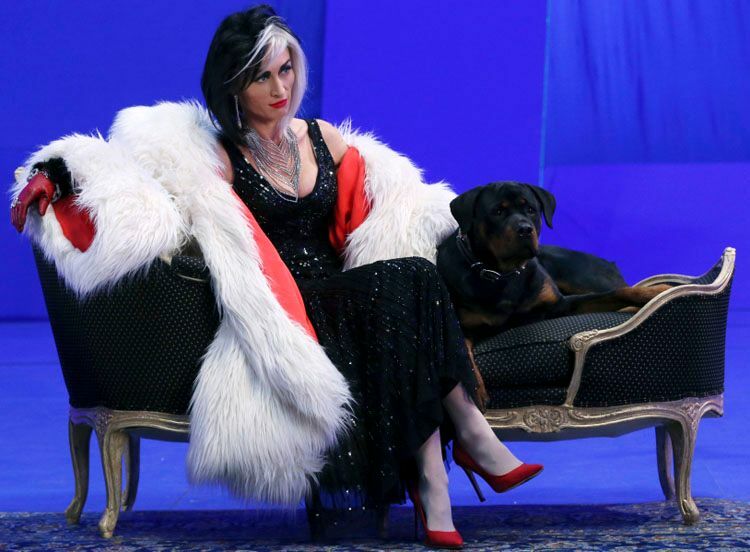 Collider: When the opportunity to play Cruella De Vil was first brought to your attention, were you immediately attracted to the idea of bringing her to life, in this way, or were you hesitant, at all? VICTORIA SMURFIT: I was terrified because she’s so iconic, and the person who played her previously was Glenn Close, who’s my idol. But I wasn’t able to watch her version of it because I thought that if I did, I would mess myself up. It was extremely intimidating, but beyond exciting. I love Cruella. We were all terrified of her, when we were kids. She’s just so unrepentantly fabulous, evil, twisted and selfish. While I was playing her, I tried to stay off the carbs to keep the angles, and I had the slightly bent over shape. It’s Disney, so you can’t have her with her cigarette holder, blowing smoke rings everywhere. My way of adding that in was always to have one arm up and perched. In cartoons, she always had her hand up, so I tried to build that in, as a nod and a wink, just for myself. It was just crazy exciting. I’m literally like a kid in a candy store for everybody to see [this episode]. 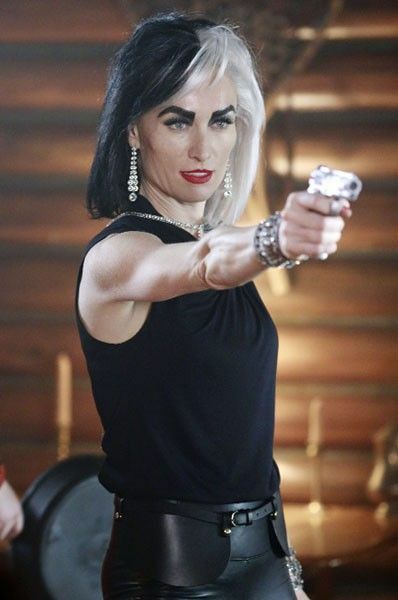 Adam [Horowitz] and Eddy [Kitsis] have given her the most extraordinary backstory that makes perfect sense and will probably become legend for how Cruella got to be who and what she is. There’s less about her character out there than some of the others, so they had a freer license, in many ways. When you signed on for the show, did you know that you’d be getting this backstory episode, at some point, and did they let you know what the backstory would be? SMURFIT: No, I had no idea. When I started talking to them, they did say that they were thinking about her coming from 1920s England and the flapper era, and that I may have to learn how to Charleston, which I did. 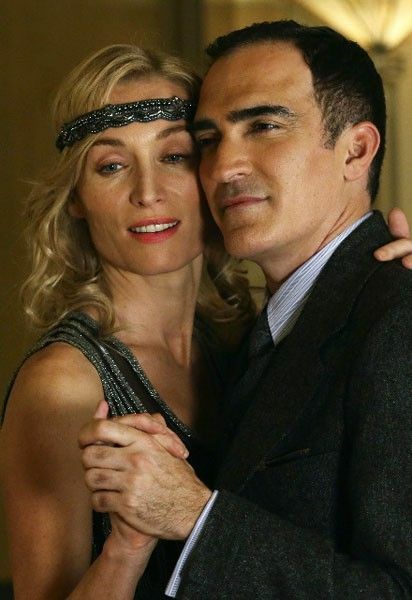 Patrick Fischler and I have that down. But, that was it. 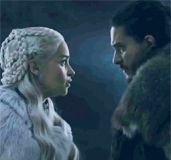 They have these extraordinarily creative minds, and the more they did, the more complicated the twists and turns got, and intense relationships seemed to pop up. 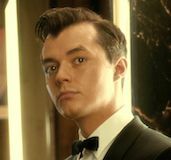 Without giving anything away, what can you say about “Sympathy for the De Vil” and what you want people to know about it? 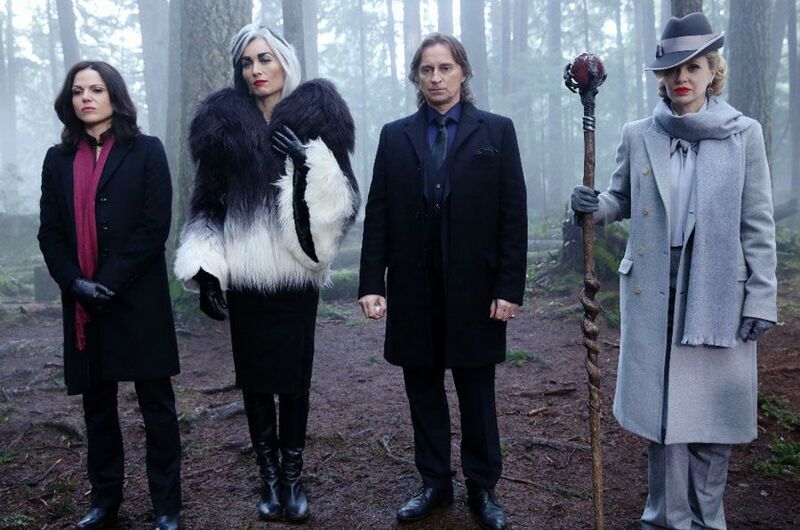 Will they come away from it with a very different understanding of Cruella? SMURFIT: Absolutely! They’re going to get a sense of where she began and how she came to be. You’ll understand her an awful lot more, and you’ll either love her or hate her for it. You’re going to get a macro view of how Cruella got her look and how she became the fabulous masked woman that she is. I feel like she’s always masked. The hair, the make-up and the clothes are top-notch. You’ll get to see that journey. I got to play two people, really. I got to play her then and now, which is just such a glorious journey. Even when I was reading the script, every time I turned another page, I was like, “What? !” It should be a fun episode for everybody to watch. It was interesting to learn that Cruella has a history with who we now know as the Author. What can we expect from that relationship, and did she know who he was, at the time? SMURFIT: You’ll find out that Cruella, though she’s part of the trio of evil and the Queens of Darkness, she’s had her own agenda that will finally come out. You’ll learn what she’s been looking for. At times, you think that she’s along for the ride, and you wonder what she wants and what her powers are. Obviously, she can control the animals with her appalling green stinky breath. And from that point on, we’re going to unravel why she’s been there and what her secret plan has been. In the process of getting what she wants, she’s kidnapping people. Pongo is in the mix. He’s definitely her main henchman. With her derringer and her Pongo, she’s got it all covered. It’s much more about Cruella and what the Author has over her, and it’s super intense. Will this episode also give a clear indication of what her happy ending would be? SMURFIT: Yes, you’re going to find that out, and it’s satisfying, which is nice. It’s a satisfying episode, where you’ll learn things that you maybe didn’t even think about asking. It’s that complicated, but in a really good, clear way. She’s a sociopath, really. She’s a glorious, bedazzling sociopath, and I love her. 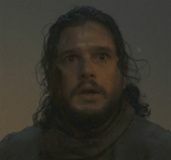 Do you see her as someone who is more of a lone wolf, who’s really out for herself and her own happy ending, or do you think she would like to have an ally? 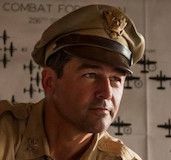 SMURFIT: I don’t know if she would ever truly trust somebody. I think there was probably a time where she would have liked to think she could. But, sociopaths tend to be lone wolves who are on the track of what they want. She’s played the slow game, up until now. In one of the episodes when they first arrived in Storybrooke, Cruella turned to Rumple and said, “What now, dahling?” And he said, “Make friends,” which is exactly what Cruella has been doing. Adam and Eddy were very good about giving me an awful lot of fantastic sassy lines, so when the evil comes out, she always has a quip for somebody. She is dangerous, and you’re certainly going to find out just how strong and powerful she is. With so many different types of villains on this show, is there another villain that she would be most afraid of crossing? SMURFIT: Yes, absolutely! She would never cross Rumple. She would never mess with him. For me, he is the King of Evil. He is the perfect man. He is the all-seeing, all-doing. She does, at times, give him a bit of a jab in the side about being in love with that little wench Belle. But for me, he is the big dog. And the Author has a serious hold over her. You’ve had fabulous fashion on this show, whether it’s the iconic Cruella look or the 1920s clothes. What’s it like to get to wear the costumes, and how was it to see yourself as Cruella? SMURFIT: Oh, it was fantastic! The show shoots in Vancouver. I was coming down the elevator about two weeks in, and there was this fellow in the lift. I was just chatting with him, the way that I do, and he turned to me and went, “Are you Victoria?” I said, “Yes.” And he went, “I’m Eddy!” He said he’d been watching me on dailies for two weeks and didn’t recognize me, in real life. I took it from that, that once the gear goes on, it’s a metamorphosis, that’s for sure. As the face goes on, there’s a moment where you’re make-up is on and in you’re in the skull cap, but the wig hasn’t gone on and you’re still in your track suit bottoms or sweatpants, and it’s completely surreal. But then, once all the extraordinary departments have finished what they do so extraordinarily, you can’t help but be fabulous. Once Upon A Time airs on Sunday nights on ABC, and you can find out more about the show at www.abc.go.com/shows/once-upon-a-time.